While exercise is primarily valued for its influence on physical health, strength and mobility, there’s ample evidence showing physical exercise, especially strength training, is just as important for healthy brain and nervous system function. A number of studies, which I’ll review below, have linked muscle strength, and leg strength in particular, to various cognitive benefits. “Both astronauts and patients affected by chronic movement-limiting pathologies face impairment in muscle and/or brain performance. Increased patient survival expectations and the expected longer stays in space by astronauts may result in prolonged motor deprivation and consequent pathological effects. In other words, whenever you’re unable to perform load-bearing exercises, you not only lose muscle mass due to muscle atrophy, your body chemistry is impacted in such a way that your nervous system and brain also begin to deteriorate. To reach this conclusion, the researchers prevented mice from using their hind legs for 28 days. The animals could still use their front legs, however, and were able to eat and groom normally without getting stressed. What’s more, by not using the leg muscles, two genes were adversely impacted. One of them, known as CDK5Rap1, plays an important role in mitochondrial health and function, which is yet another important reason for getting weight-bearing exercise. As you may be aware by now, healthy, well-functioning mitochondria are crucial for optimal health, and mitochondrial dysfunction is a root cause of virtually all chronic disease, including neurodegeneration, as your brain requires the most energy of any organ — about 20 percent of the energy generated in your entire body. As noted by lead author Dr. Raffaella Adami,5 “It is no accident that we are meant to be active: to walk, run, crouch to sit, and use our leg muscles to lift things. Neurological health is not a one-way street with the brain telling the muscles ‘lift,’ ‘walk,’ and so on.” Previous research fully supports the notion that muscle use plays an enormously important role in brain health. Previous research has shown exercise is a key way to protect, maintain and improve your brain health and optimize your cognitive capacity. It’s even been shown to help fight dementia. There are a number of different mechanisms behind this body-brain link. One, perhaps key, factor is related to how exercise affects brain-derived neurotrophic factor (BDNF), which is found in both your muscles and your brain. Exercise initially stimulates the production of a protein called FNDC5. This protein in turn triggers the production of BDNF, which is a remarkable brain and muscle rejuvenator. In your brain, BDNF helps preserve existing brain cells,6 activate brain stem cells to convert into new neurons (neurogenesis) and promote actual brain growth, especially in the hippocampus area; a region associated with memory. In your neuromuscular system, BDNF protects your neuromotor, the most critical element in your muscle, from degradation. Without the neuromotor, your muscle is like an engine without ignition. Neuromotor degradation is part of the process that explains age-related muscle atrophy. 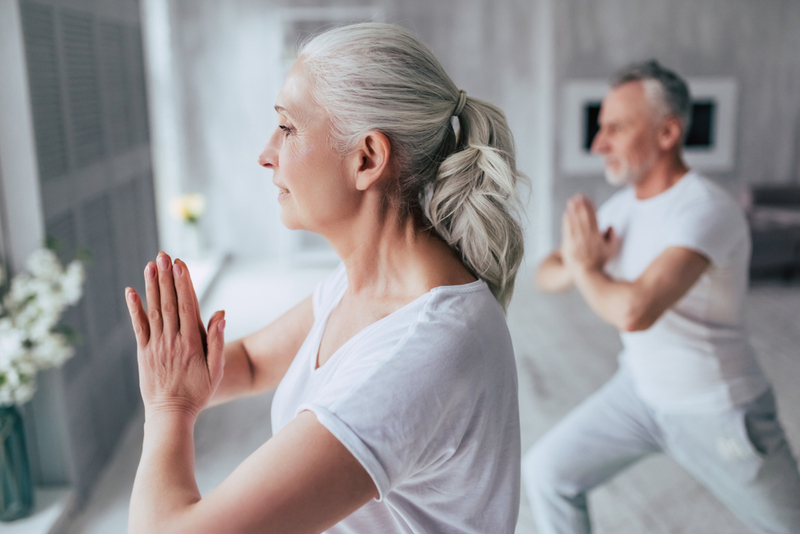 Research10 also shows exercise helps preserve gray and white matter in your frontal, temporal and parietal cortexes, which also helps prevent cognitive deterioration. A 2016 study11 in the journal Gerontology found that working your leg muscles helps maintain cognitive function as you get older. According to the authors, simply walking more could help maintain brain function well into old age. The study followed 324 female twins, aged 43 to 73, for a decade. Cognitive function such as learning and memory was tested at the outset and at the conclusion of the study. Interestingly, leg strength was found to be a better predictor for brain health than any other lifestyle factor they reviewed. Consistently, the twin with the greatest leg strength maintained higher cognitive functioning over time compared to her weaker twin. The stronger of the pair also experienced fewer age-related brain changes over time. A Georgia Tech study12 (featured in the video below) found that 20 minutes of strength training enhanced long-term memory by about 10 percent. In this experiment, 46 volunteers were randomly assigned to one of two groups — one active and one passive. Initially, all of the participants viewed a series of 90 images. Afterward, they were asked to recall as many images as they could. The active group was then told to do 50 leg extensions at personal maximum effort using a resistance exercise machine. The passive participants were asked to let the machine move their leg, without exerting any personal effort. Two days later the participants returned to the lab, where they were shown the 90 original photos plus 90 new ones. Animal research17 has also shown that exercise both activates and promotes the growth of hippocampal neurons. The hippocampus belongs to the ancient part of your brain known as the limbic system, and plays an important role in the consolidation of information from your short-term memory to your long-term memory, as well as spatial navigation. In one such study,18 exercising mice grew an average of 6,000 new hippocampal brain cells in every cubic millimeter of tissue sampled. As expected, the mice also showed significant improvements in the memory recall. Similarly, a 2010 study19 on primates revealed exercise helped the monkeys learn new tasks twice as quickly as nonexercising monkeys. Research highlights20 include the finding that 40 minutes of daily exercise increased IQ by an average of nearly 4 points among elementary school students; among sixth-graders, the fittest students scored 30 percent higher than average students, and the less fit students scored 20 percent lower; among older students, those who play vigorous sports have a 20 percent improvement in math, science, English and social studies; students who exercised before class improved test scores 17 percent, and those who worked out for 40 minutes improved an entire letter grade. Employees who exercise regularly are also 15 percent more efficient than those who do not, which means a fit employee needs to work only 42.5 hours in a week to do the same work as an average employee does in 50. Normalizing insulin and preventing insulin resistance — Exercise is one of the most effective ways to normalize your insulin level and lower your risk of insulin resistance. Improving blood flow and oxygenation to your brain — Your brain needs a significant supply of oxygen to function properly, which helps explain why what is good for your heart and cardiovascular system is also good for your brain. The increased blood flow that results from exercise allows your brain to almost immediately function better. As a result, you tend to feel more focused after a workout, which can improve your productivity. Reducing plaque formation — In one animal study,23 significantly fewer damaging plaques and fewer bits of beta-amyloid peptides, associated with Alzheimer’s, were found in mice that exercised, and by altering the way damaging proteins reside inside your brain, exercise may help slow neurodegeneration. Boosting noggin — Exercise also results in a notable increase in another brain protein called noggin, a BMP antagonist. So, exercise not only reduces the detrimental effects of BMP, it simultaneously boosts the more beneficial noggin as well. This complex interplay between BMP and noggin appears to be a powerful factor that helps ensure the proliferation and youthfulness of neurons. Increasing mood-boosting neurotransmitters — Exercise also boosts natural feel good hormones and neurotransmitters associated with mood control, including endorphins, serotonin, dopamine, glutamate and GABA. A study by Princeton University revealed exercising creates excitable neurons along with new neurons designed to release the GABA neurotransmitter, which inhibits excessive neuronal firing, helping to induce a natural state of calm.26 The mood-boosting benefits of exercise occur both immediately after a workout and continue on in the long term when done regularly. There’s little doubt that — aside from poor diet — inactivity is a major driver of most of our current disease epidemics, starting with obesity, which now affects nearly 40 percent of adults, over 18 percent of teens and nearly 14 percent of children. In addition to a wide array of health problems, obesity is also a risk factor for Alzheimer’s, which is now the third leading cause of death, right behind heart disease and cancer. Nonexercise movement along with regular workouts could go a long way toward improving these troubling statistics. Most people spend 10 hours or more sitting down each day, and sitting for more than eight hours a day is associated with a 90 percent increased risk of Type 2 diabetes, along with increased risks of heart disease, cancer and all-cause mortality.28 The answer is to move more, including during work hours. One solution that can work for many is to get a standup desk. Simply bearing weight on your two legs produce a biochemical cascade that cuts your risk of insulin resistance and diabetes. Walking more is another key solution. Rather than opting for convenience, take every opportunity you can to walk (or bicycle) rather than drive. Park further away; take the stairs rather than the elevator and so on. In addition to daily walking (I recommend aiming for 10,000 to 15,000 steps a day), consider doing some form of regimented exercise each day. It doesn’t have to take a lot of your time. In the video below, I demonstrate a four-minute high-intensity exercise that will boost your nitric oxide level, a molecule that feeds your muscles and dilates your blood vessels, allowing for better flood flow and oxygenation of all tissues, including your brain. 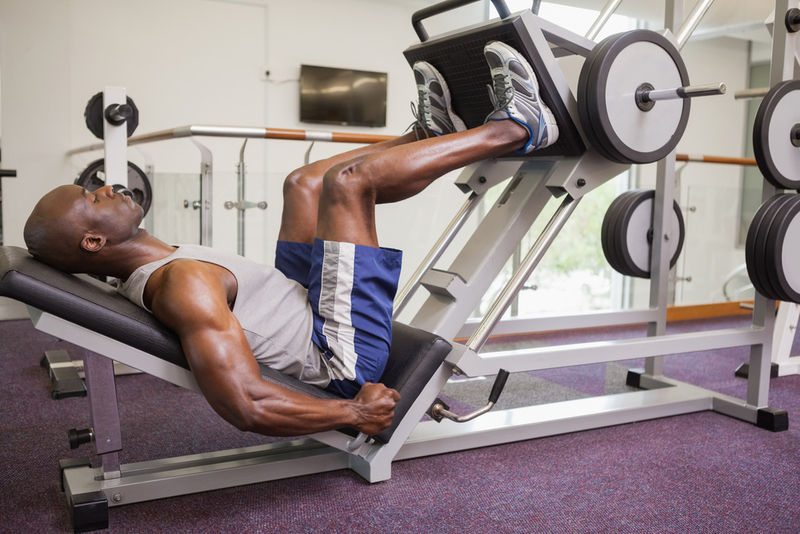 While the movements are really simple, and require no exercise equipment, they work 16 of your largest muscle groups. A typical four-minute workout entails three sets of 10 repetitions, but you can eventually work toward increasing it to 20. Done two or three times a day, spaced at least two hours apart, the Nitric Oxide Dump exercise is an extremely effective and efficient way to give your physical and cognitive health a boost. 17 Proc Natl Acad Sci U S A. 2012 Aug 7;109(32):13100-5. 22 Panminerva Med. 2012 Sep;54(3):171-8. I am an osteopathic physician who believes that proper nutrition, not medicine, is the key to good health. I seek to treat the whole person, not just the symptoms. I offer you practical health solutions without the hype.